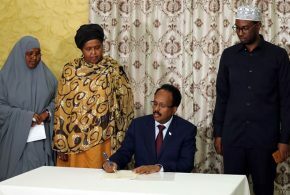 President of Somalia H.E Mohamed Abdullahi Farmaajo signed a National Disability Agency Establishment Bill. FOUNDER OF SOMALI DISABILITY EMPOWERMENT NETWORK (SODEN) MOHAMED FARAH MET WITH PRESIDENT OF SOMALIA HIS EXCELLENCE MOHAMED ABDULLAH FARMAJO IN ENTEBBE UGANDA. 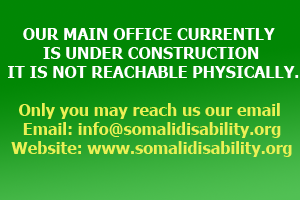 Why Is It Important to Sign the United Nation Convention On Rights of Persons with Disabilities (UNCRPD) in Somalia? UN Human Rights Council – 39th regular session Item 10: Interactive dialogue with the Independent Expert on the situation of human rights in Somalia. 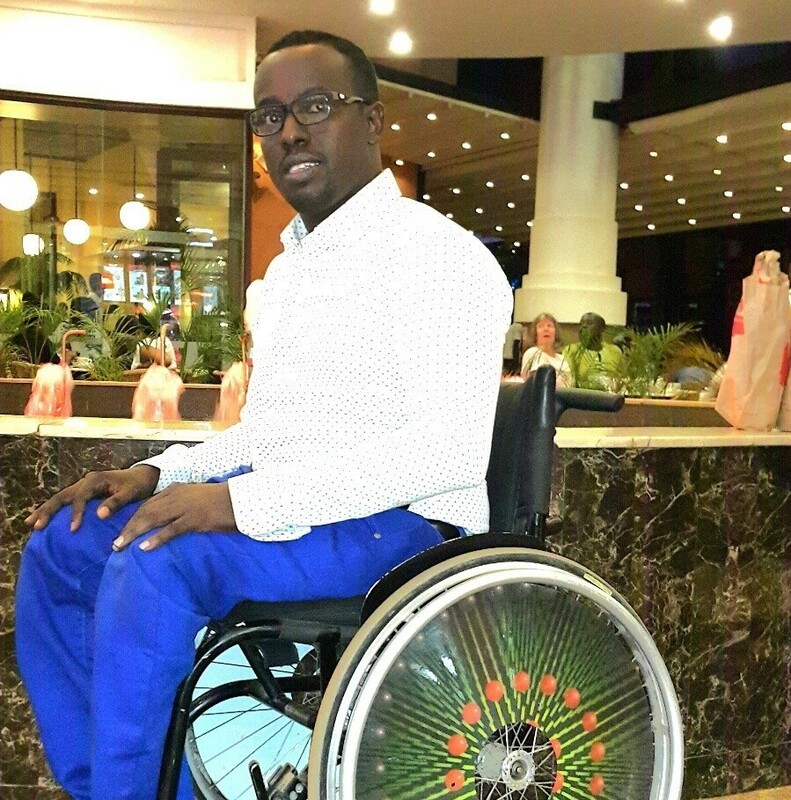 SODEN Chairman has raised the disability rights in Africa during the 5th focal point of Human rights Defenders in East and Horn of Africa in Kampala. Somali Disability Empowerment Network is sending its deepest condolence to the Disable People International (DPI) for the lost of their chairman Mr. Javid Abidi. Senator Abshir Bukhari Opened A New School For The blind And Distributed Mobility Equipment To The Blind People In Galmudug State Adado. UK Minister of state of DFID met with civil society including Somali Disability Empowerment Network. 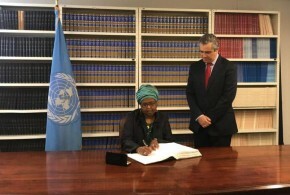 SODEN Chairman Met UN Deputy Representative For Somalia. 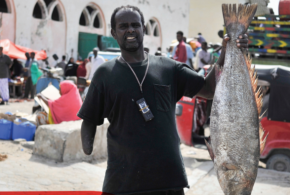 A SODEN member disabled man Mr. Ali Osamn was killed by the Alshabaab militant group. 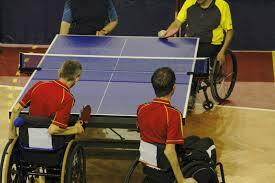 On an individual level, people with a disability may face a number of additional barriers to participation in sport compared with people without a disability. Regarding participation of developing countries in international sports there is a widening gap between developed and developing countries. This gap has been linked to a shortage of physical education and sport for all programmes, a lack of financing for sport, few sport facilities and little equipment, a ‘muscle drain’ to developed countries, and no capacity to host major sporting events with the result that developing countries have fewer world-level sport performances than developed countries.Limited access to sport services, sports information and the issue of doping are becoming increasingly problematic. Developing countries also face a range of social and cultural barriers that impact on sport participation including: religion, culture, language, and the lingering influence of colonialism in many parts of the world. Listed together these barriers may appear insurmountable but it is important to recognise that not every person will experience all of these barriers. 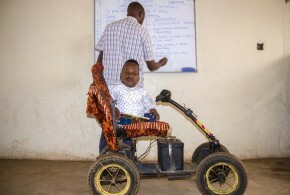 In the interest of facilitating active participation from people with a disability in developing countries, the potential impact of these barriers should be taken into consideration.There is limited research that explores the specific barriers to participation in sport for people with a disability in developing countries. Much more evidence is needed along with financial support to ensure that people with a disability have both the opportunity and the choice to participate in sport regardless of which country they live in.